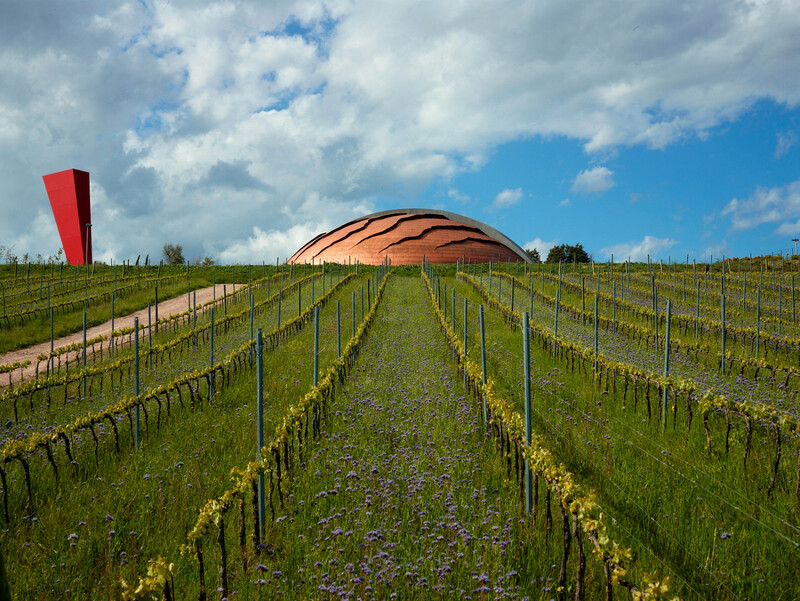 A great many regard the Lunelli estate’s Carapace as a splendid winery, including the thousands of visitors who venture out every year to visit the masterpiece of Arnaldo Pomodoro projecting forth from the gentle Umbrian hills. The magnificence of this winery is confirmed by several honors starting with the UNESCO prize, “The Factory in the Landscape,” awarded just two years ago highlighting even more the winning streak of Castelbuono. The Carapace was again awarded “phenomenal winery” as “Winery Architecture of the Year” by the Wineries of Italy tour guide edited by the association Go Wine. The prize was awarded on Wednesday evening, 3 December at the Michelangelo Hotel in Milan. Afterwards a tasting for the Montefalco Rosso Riserva Lampante of Castelbuono was held because the Carapace is also a phenomenal winery capable of producing great wines like the Lampante, awarded by the Wineries of Italy as one of the top in Italy.